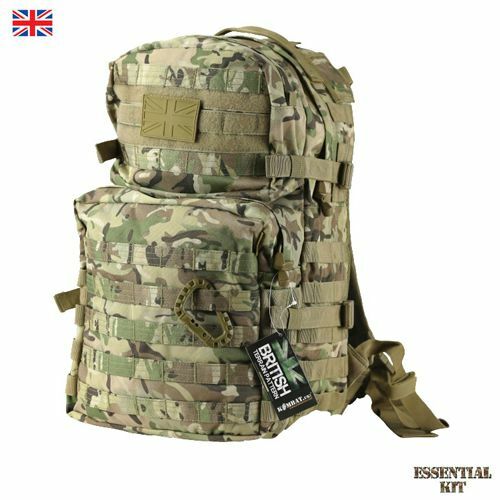 The 28 litre BTP (British Terrain Pattern) assault pack is constructed from durable 600D C..
A new and improved remake of the ever popular NI Patrol Pack or S2000 originally issued in the 1990s.. 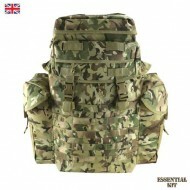 The 40 litre BTP (British Terrain Pattern) assault pack is constructed from durable 600D Cordura material. 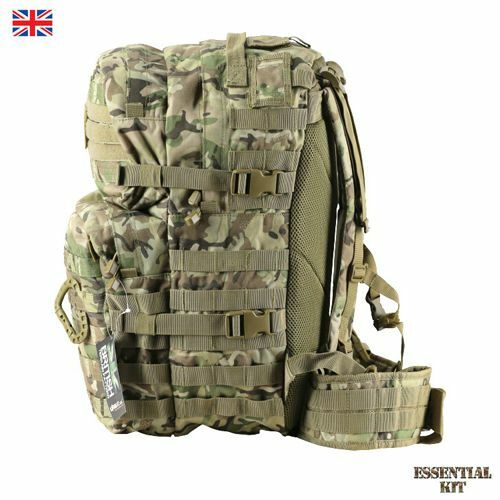 There is one generous main compartment, with an internal draw cord divider and velcro tabs for aqua bladders or radio equipment. 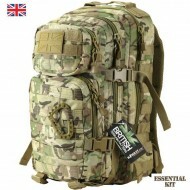 Externally, the pack has additional compartments - a smaller top and medium lower front pockets and an external pocket behind back pad for maps, notebooks etc. The pack has molle tabs on the front, sides and straps so that additional pieces of kit can be attached. 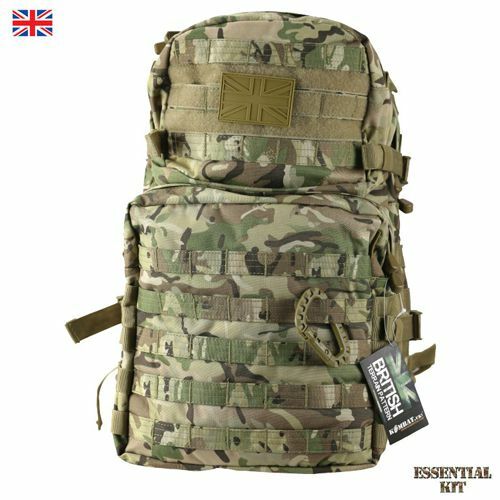 The rucksack has comfortable fully adjustable reinforced shoulder straps and a removeable padded webbing waist strap, the back panel is well padded and ventilated. There is also a carry handle fiited to the top of the pack for easy movement when not carried on the shoulders. 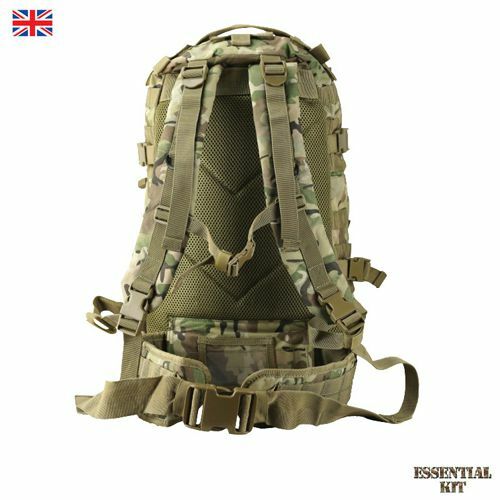 The 40L capacity makes it perfect for use as a day sack when you need to carry that bit more, but can be used for longer trips when travelling light. There is a velcro panel on the top pocket so that badges can be attached and removed easily.